In the Gospels we see Jesus called “Rabbi” by six different groups of people; His disciples, a lawyer, a rich man, a Pharisee, a Sadducee and “the crowd”. What was a rabbi and how did you become one? What was the educational system like and the lifestyle that would produce these great Jewish teachers? First of all, the word “Rabbi” means, “My Master” or literally “My Great One”. It came from the word “RAV” that means great or honored one and was used by slaves to their master or servant to his lord. The word “Ravi” means “my” master or “my” boss. To discover how someone would become a Rabbi in Jesus day we need to look at the lifestyle and educational system that would have produced them. What was the educational system like in the first century in the Galilee? The heart of all Jewish education was the home. The home was the center of learning. Education took place in the home. Any other education was just an extension of the principles taught at home. Although both parents shared in this task, the father bore the chief responsibility for the instruction of the children. The father was the main instrument in the learning process. The Talmud states, “The father is bound in respect of his son to circumcise….teach him Torah, take a wife for him, and teach him a craft” (Kiddushin 29a). This is such an important point! The heart of Jewish education was a child seeing his family, especially the father, in action in life situations. Abraham Heschel, a well known Jewish writer, gave this famous quote, “What we need more than anything else is not text books, but text people. It is the personality of the teacher which is the text that the pupils read; the text they will never forget”. The foundation for Jesus’ education would have definitely been his father, Joseph’s example – in addition to his heavenly Father. At this point in the study, it is helpful to make some comparisons between Western (Greek) and Eastern (Hebrew) thinking in education. The object and aim of the Hebrew system was, “the knowledge of God”. The object and aim of the Greek system was, ”know thyself”. These two aims are poles apart. The Hebrew system started with God; ”The Fear of the Lord is the beginning of wisdom, or knowledge” (Proverbs 1:7 and Proverbs 9:10). Man can never know himself, unless he first learns of God and is submissive to His will. The Greek system, on the other hand, starts from the knowledge of man as he seeks to understand God through man’s higher nature. To the Jew, the ideal of holiness and separation was the key to knowing God. All education was directed to this end; be holy, be different, be set apart from the other heathen nations. In contrast, the Greek world did not understand education to be tied to a holiness of life. Teaching involved the transfer of knowledge in intellectual areas such as art, music, or athletics. The Greek teacher aimed at developing the talent and potentials of his student. In Greek society only the wealthy and leisure classes were educated. Our English words school and scholar come from the Greek word, ”Scholazo”, which means to have leisure, or to have spare time, or to have nothing to do. Conversely, Jewish education was for all people and concerned the whole person. In summary, the Greeks learned in order to comprehend, the Hebrews learned in order to revere. To a Jew, wisdom was what you did, not what you knew. It was action and behavior, not the nine points of theology. Jesus took his disciples out into life to teach them how to act. He demonstrated personally, and as they acted and reacted he taught them the truth. It was not “to know”, but ,”to experience”. In our next segment, we will look at the actual Jewish educational system during the time of Jesus and see how that shaped His style of teaching and made Him a rabbi in the eyes of His constituents. The beginnings of the tribe of Dan are found in Genesis 30:1-6. Jacob, the father of the twelve tribes of Israel, had been unable to conceive a son with his wife Rachel while Jacob’s first wife, Leah, had borne him several sons. Jealous of Leah, Rachel encouraged Jacob to sleep with Bilhah, Rachel’s handmaiden. This relationship produced a son whom they named Dan. The name Dan means , “to judge” or “minister judgment” or “to plead a cause”. Dan was one of Jacob’s twelve sons and became one of the original twelve tribes of Israel. Dan was the second largest tribe – only slightly smaller than Judah. However, they were never thought of as true Israelites because of the circumstances surrounding Dan’s birth. During the Exodus out of Egypt the tribe of Dan was given the responsibility of guarding the rear flank of the people as they marched (Numbers 2:31). Dan did not do a particularly good job, as the story of the attack of the Amalekites (Exodus 17:8-16 & Deuteronomy 25:17-19) infers. The Amalekites picked off the weak, elderly and helpless that were lagging behind and Dan should have protected them. Dan was the last tribe in the book of Joshua to receive their allotment of land. Dan’s inheritance was located in the Shephelah, or low foothills between the coastal plain and the Judah mountains. The Philistines lived to the west on the coastal plain and were superior to the Israelites militarily because they had the technology of iron (1 Samuel 13:19-20). They constantly gave the Danites problems. To the east were the allotments for the tribes of Judah and Ephraim and their tribes kept the tribe of Dan from expanding towards their land. God had placed them between a rock and a hard place, with a formidable enemy close by. The story of the most famous Danite, Samson (Judges 13:24), echoes the problems that Dan had with the Philistines. Dan never really liked where God had placed them. When the situation got particularly tough, they decided as a group to look for a better place to live (Judges 18:1-2). Dan sent out five spies who traveled about one hundred miles north to a city called Laish. This was a beautiful lush area, with lots of water and grass. The spies liked this area a lot better than where they were in the Shephelah. They came back to the Danites and told them how great it was and that it would be easy to defeat the people living in Laish. The tribe agreed and sent 600 armed soldiers to capture Laish and take their land. The story of their trip to the north is a bizarre and is found in Judges 18. They stole some cast idols that were household gods and convinced a priest to go with them and set up their own house of worship in their newly captured land. Dan slaughtered the residents of Laish and renamed the city Dan. This became the northernmost location for any of the twelve tribes. They set up a temple there and put the household gods in it, with their new priest to conduct the services. Because of this foolish act, the area and tribe of Dan was always connected with idolatry and was known as a place for cult worship. 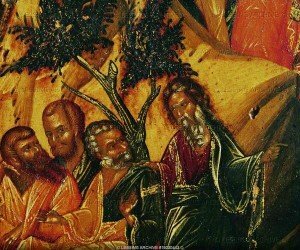 Dan’s reputation continued to erode (Judges 5:17) because of the seed of idolatry that had been planted in their tribe. Also, now that they lived next door to Tyre and Sidon, where Baal and Asherah worship was most fervent, they began to dabble in that, also. All this led, over time, to the area of Dan becoming the most pagan place in all of Israel. 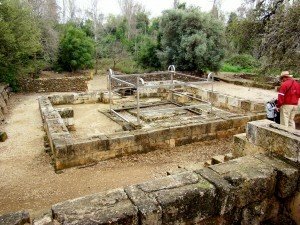 This was where Jeroboam set up the golden calf to worship when the kingdom was divided (1 Kings 12;28-30). Also, Dan was one of Ahab and Jezebel’s royal cities where Baal was worshiped and acknowledged as the main god of the northern tribes. The prophets of Israel harshly criticized the inhabitants of Dan (e.g. Jeremiah 8:16-17 and Amos 8:14) and their transgressions certainly did not go unnoticed by the Bible writers. In the Book of Revelation, Chapter 7, when the remnant of the Tribes of Israel are listed as the ones sealed by God, Dan is left off the list! No longer are they listed as one of the twelve tribes! Also, a tradition developed very early in history, that the anti-Christ would come from the tribe of Dan! The tribe of Dan had sinned against God by leaving the inheritance that had been given them and looking for something better. This decision to change locations ultimately led to their elimination from the tribes of Israel. 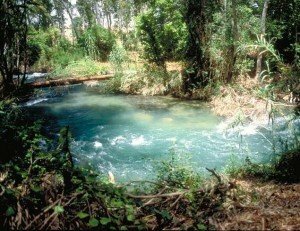 Another interesting fact that the Danites did not realize was that this beautiful location that they had picked was the first stop for every marauding army that came through the Promised Land. Dan was destroyed and rebuilt numerous times because every army that sought to conquer Israel destroyed Dan first as they came int the country from the north. Dan had no Israelites neighbors to help them fight, so they suffered greatly by moving to their new location. What is the moral of the story? You may find a nicer, less stressful place than where God placed you, but if it is not where God wants you, it will not be a better place. We are all tempted to pull up stakes and leave when we are in the middle of a tough situation. “Let’s just move and get a fresh start”, we often say. The grass always looks greener, but it never really is! You need to be where God places you, regardless of how rough the circumstances seem at the time. If you try to run from the lesson He is teaching you it will never turn out easier in the next location. The scenery will be different but there will just be a new set of problems to deal with. This is an especially important lesson for young married couples when the inevitable stresses and challenges come their way. The tribe of Dan teaches us the “grass is always greener” life lesson in a very powerful way. Some tough consequences await the person who bails out early. In 1940, in the early part of World War II, the German forces were inflicting heavy casualties on the Allied Forces of Britain and France. As the powerful Nazi troops swept across Europe, the 350,000 soldiers of the Allied Army were forced to retreat. Finally they ran out of space to retreat and were trapped on a beach, against the sea, across the English Channel at Dunkirk, France. The German troops had the Allied Army completely surrounded with the sea at their backs, much like the Israelites when Pharaoh had them pinned against the Red Sea. The German Air Force dropped leaflets on the British Forces telling them to surrender and that there was no hope of escape. All of England knew of the plight of their soldiers and were awaiting news of the almost certain annihilation of the 350,00 brave men. Late in the night of May 25, a simple three word cryptic message was transmitted across the airwaves of England from the commander of the British Army at Dunkirk. The message was, “But-If-Not”. In a matter of hours, without any formal organization, thousands of English citizens got in their private boats and began heading across the English Channel towards their trapped soldiers. The boats were of every kind imaginable; from small fishing boats, trawlers, larger private boats, and even an Olympic racing yacht. 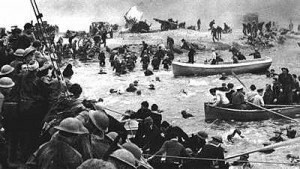 At the risk of their own lives from the dangerous waters and certain enemy fire, they raced to the beaches of Dunkirk and began evacuating the weary soldiers. 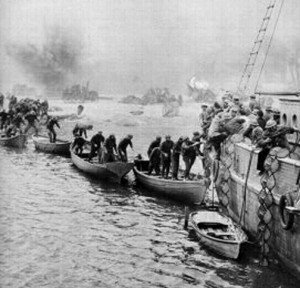 By the next day all the troops had been rescued in what historians now call the “Miracle at Dunkirk”. What did these three words mean and how did the Brits all know what their significance was to act so collectively and decisively? Those three words came from the book of Daniel in the Hebrew or Old Testament. King Nebuchadnezzar was going to throw the the three Hebrew Children into the fiery furnace and they replied to the king by saying, “Our God will save us, But-If-Not , we still won’t bow down to the Gods that you have tried to make us serve”. The Brits all knew their Bible! It was estimated that 80% of them knew that slogan and what it meant. They knew that their beloved soldiers would fight to the end and not give in to the Germans but were calling on their God to deliver them. The citizens were all collectively inspired to hear their cry and respond in the only way they knew to save them. Just as Moses cried out to God to spare them from the Egyptians, the English Commander called on the God of the Bible to deliver them also. Once again, from the Sea, God rescued his people in distress. Because the knowledge of these Biblical stories was in the English conscience, they were able to participate in one of the greatest miracles of the war. That was 1940. Seventy years later, what about us here in America? Would our populace (or Britain) know the word well enough to respond in a similar fashion? Most Americans don’t know their Bible at all. School children don’t know who Job is or if Abraham came before Jesus or any of the familiar stories of the Bible. They have never even heard them. Christianity is no longer a languages that is universally used. Statements such as, ”Patience of Job”, ”She’s a Jezebel”, “Wise as Solomon”, ”Strong as Samson”, “David vs. Goliath” and many others are not known or used anymore. As much as we don’t like to admit it, we are not a Christian nation like we used to be. Hosea 4:6 says,”My people are destroyed for a lack of knowledge”. Our nation was founded as a Christian nation and dependent upon the God of the Bible to protect and prosper us. Our prayers and actions need to be devoted to returning us to this dependence upon our Creator. But-If-Not, we are doomed to failure as a nation.